Lions and tigers are both revered as the king of the animals. When we were young, we would often wonder which one would win if a lion and a tiger were to fight each other. A smart child would have noticed that the meeting of the two beasts would never take place in the natural setting, because they lived in two vastly different environments, thousands of miles away. The lion lived in the African savannah, while the tiger lived in the jungles and forests of Asia. So in Korea, tigers were the undisputed ruler of the animal kingdom. The tiger was called the prince of the mountain, and even venerated as the guardian of the mountain god. But strangely, what has passed down for generations in Korea was the lion dance, not the tiger dance. That’s because the lion dance originated in the region of present day India and spread to the Three Kingdoms on the Korean Peninsula through the Silk Road. There are several versions of the lion dance in all parts of Asia, and the Japanese lion dance was derived from the Korean version. Today’s Sounds of Korea will take a closer look at Korea’s lion dance. The haegeum piece you just heard was titled “The Dream of a Clown,” composed and played by Kim Young-jae. About 1,500 years ago Ureuk우륵, the famed gayageum master during Shilla King Jinheung진흥’s reign, had composed twelve pieces, one of which was called “The Lion’s Talent.” The word “talent” here meant a clown or an actor, implying that it was a lion mask dance. Its exact tune has been lost for a long time, but we can safely assume that the melody must have expressed the powerful dance of a lion. About three hundred years afterwards, esteemed scholar Choi Chi-won최치원 wrote five poems on Shilla’s mask dances, one of which was about the lion dance, a convincing sign that it must have been a popular performance. Its fur coverings have become tattered and caked with dust. And its bright spirit cannot be compared to those of other lowly animals. Choi’s vivid poetic description fits today’s lion dance to a T. The most famous lion dance that has survived to this day is the Bukcheong북청 lion dance, which originated in the Bukcheong region in Hamgyeong Province in what is now the northern part of North Korea. 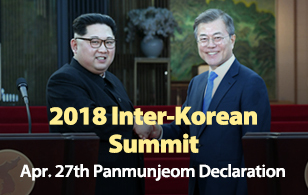 Other popular lion dances include, among others, Bongsan봉산 mask dance and Gangryeong강령 dance from Hwanghae Province in today’s North Korea, and Suyeongyaryu수영야류 from Busan. 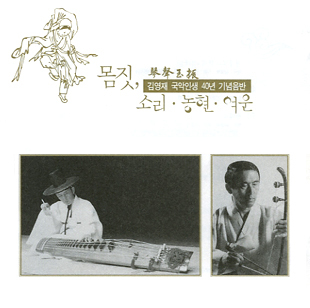 Now let’s listen to Payeongok파연곡 from Bukcheong lion dance, with Koh Jang-wook고장욱 at the tungso퉁소, or a six-holed bamboo flute, and Yeo Jae-sung여재성 at the drum.